Hands up who loves Pancake day? If you didn’t raise your hand, WHY!! 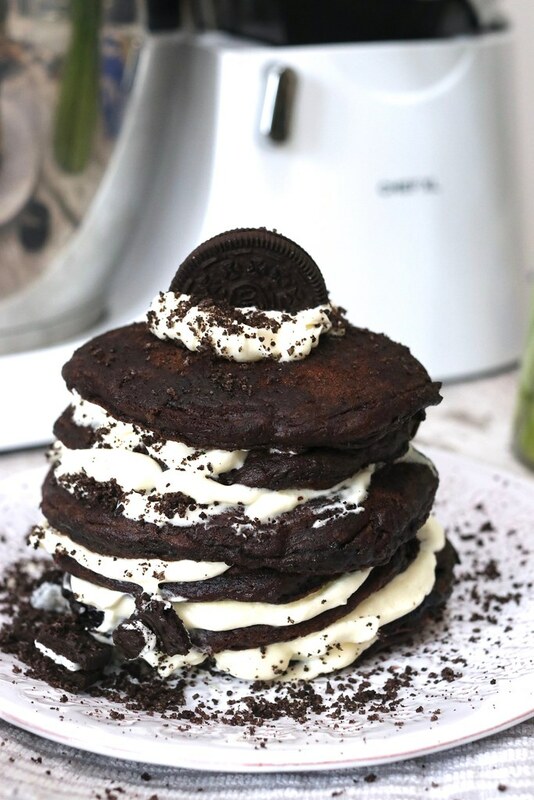 I personally look forward to pancake day more than I do Valentines day, but hey if you love and celebrate both, then there’s nothing stopping you making these for both occasions, (just don’t forget to add a rose and a cringe card to the plate for V.day). 1. In a mixer, add flour, cocoa powder, baking powder, baking soda, salt and sugar. Whisk together. Add in egg, buttermilk and butter. Whisk a few times until batter comes together, but a few lumps still remain. 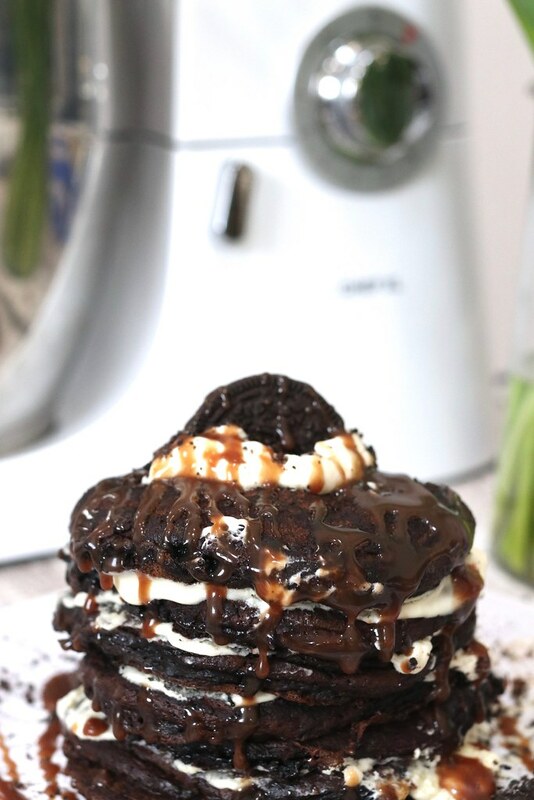 Gently stir in crushed Oreos. Let batter sit a few minutes to thicken. 2. Grease your pan and bring to medium heat. Measure out 1/4 cup of batter. Pour batter into middle of pan. Cook pancake until bubbles begin to break the surface, then flip to other side and cook until pancake is done. Repeat with remaining batter. You should have enough batter for about 8 pancakes. 3. To make cream, pour heavy cream and sugar into a mixer. Mix on high speed with a wire whisk until cream becomes stiff peaks. Spoon cream out onto the pancake layers. 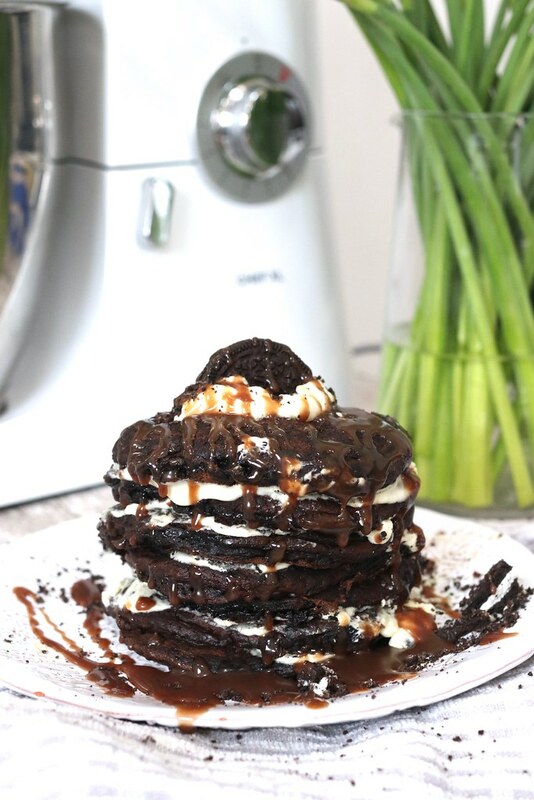 Sprinkle some crushed Oreos over cream (you can also mix the Oreos into your cream but I want to keep the cream white to look more like Oreo cookies). Gently place a pancake on top. 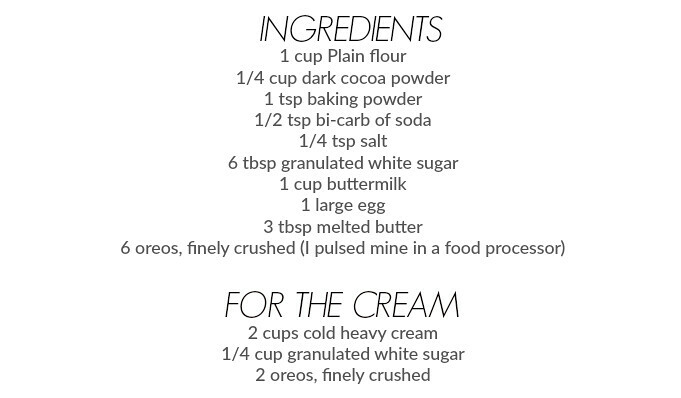 Repeat with cream, crushed Oreos and pancakes. 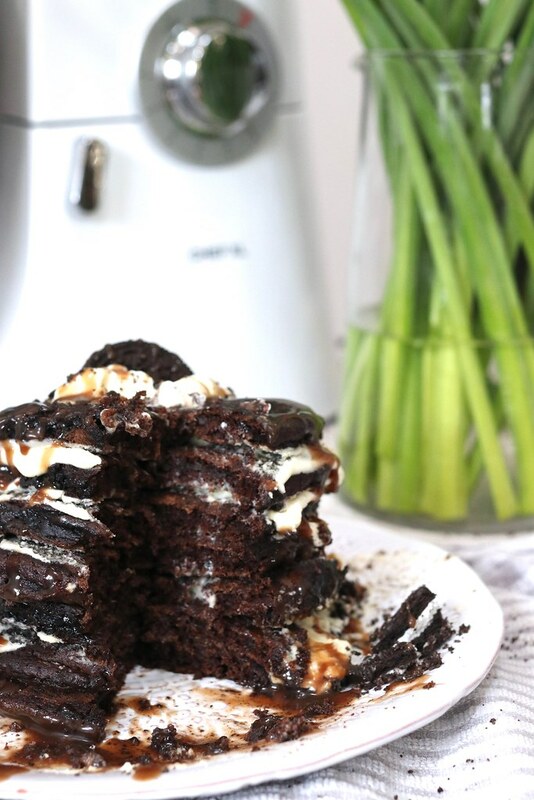 Serve immediately with chocolate syrup if desired.